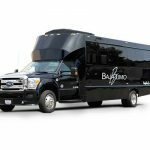 This insanely stunning and massively roomy limousine bus is just the topping on the cake when you are planning out your next large group journey. No matter the reason for your journey it will become dearly remembered by all who accompany you on the road. 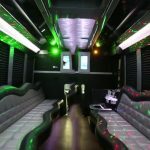 Your party bus comes with a very experienced and professional chauffeur who will take all of the hassle and headache out of the logistics of planning a magical evening out of on the town. As for what you and your friends will be doing on the way to your main event, that is completely up to you. 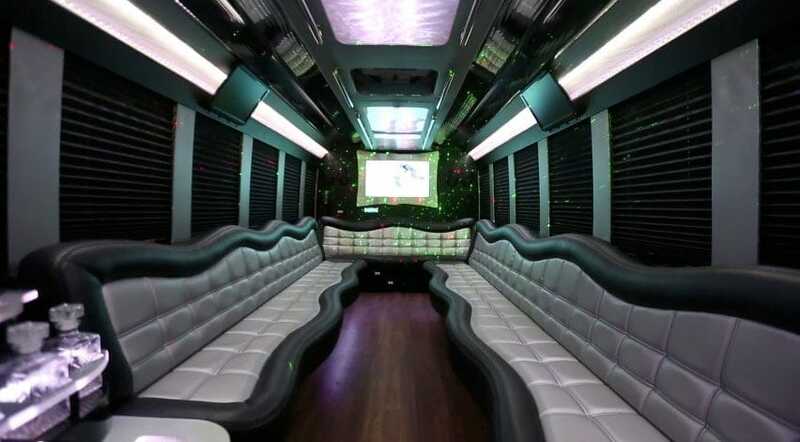 We provide you with the amenities you need to throw a party perfectly suited to your needs, wants, tastes and desires. 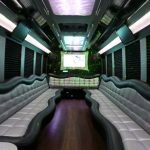 It can be as simple as sitting back with a cold beverage and chatting or you connect your phone to load your carefully crafted playlist into our top of the line audio system, set the lighting system to full party mode and turn your transportation into the hottest most exclusive nightclub on wheels. 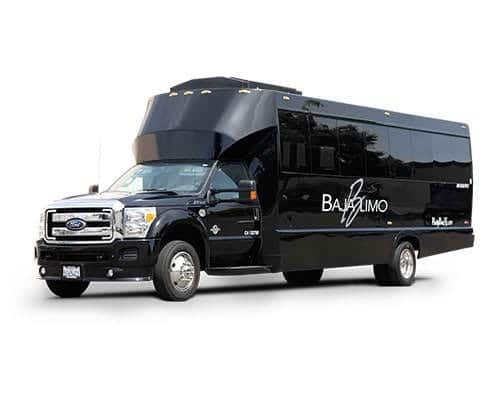 *Horizontal grab rails are not to be used for anything other then loading and unloading of passengers.